If your business or craft has a need for accurate duplicates in wood, this copy carver will revolutionize your work. Now you can quickly and precisely duplicate almost any shape. 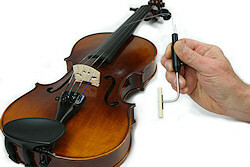 Gemini's patented design is an extremely rigid structure, producing duplicates unmatched by flimsy competitive carvers. The balance is perfect, resulting in fine-touch control of the router. The Gemini carving machine creates a precise duplicate piece requiring only minor sanding to prepare the wood for finishing. With the Gemini carving machine in your shop, you can save time and effort and focus on the fine touches of your craft. 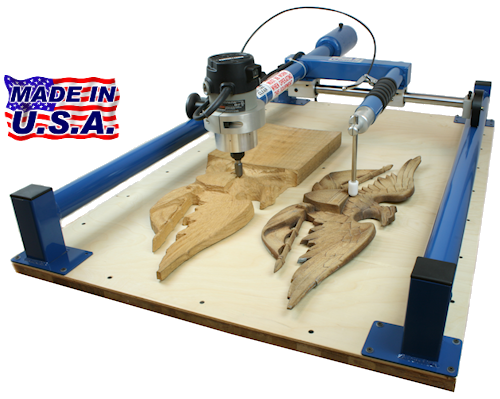 The Gemini carving machine is straightforward to set up and operate. Operation of this carver is made even easier due to the patented brake mechanism which stabilizes and controls the cutting motion. Find out why the Gemini is superior to the rest on our Construction Close-Up page and see the carver in action on the Universal Carver Videos page. The Gemini Gunstock Carver is a specialized model of the Gemini Universal Carver custom designed with a rotary fixture for quick and accurate duplicates of gun stocks. The Gunstock Carver, with its 1 and 3/4 horsepower router is a serious tool for the serious gun maker. It can cut duplicates into any wood be it birch, maple, walnut or laminate. Gemini Professional Luthier Tools represent the finest in craftsmanship and ingenuity. These tools are engineered to the meet the demanding needs of the professional luthier while maintaining a simplicity of use. Whether you are a seasoned instrument builder or a casual instrument owner, these tools will make your job easier.